Ho Mun Cheong SAA Honorary Secretary (Left of pic). Dr G. Balasekaran SAA Assistant Honorary Secretary (Right of pic). 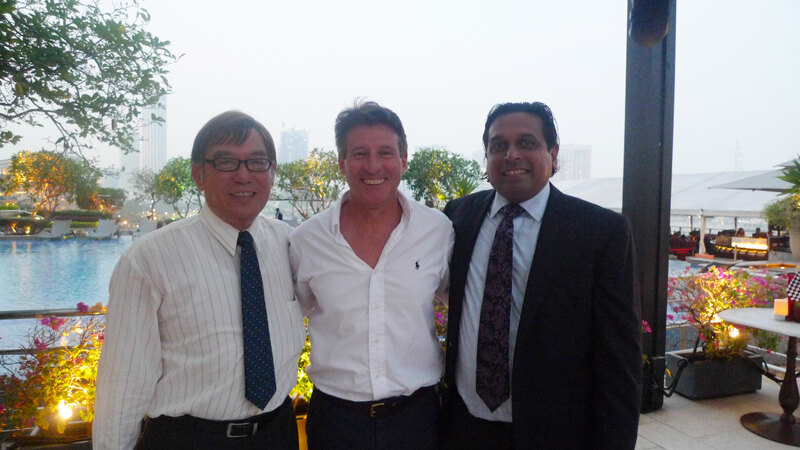 Meeting with Lord Sebastian Coe at Fullerton Bay Hotel on 18 September 2014.